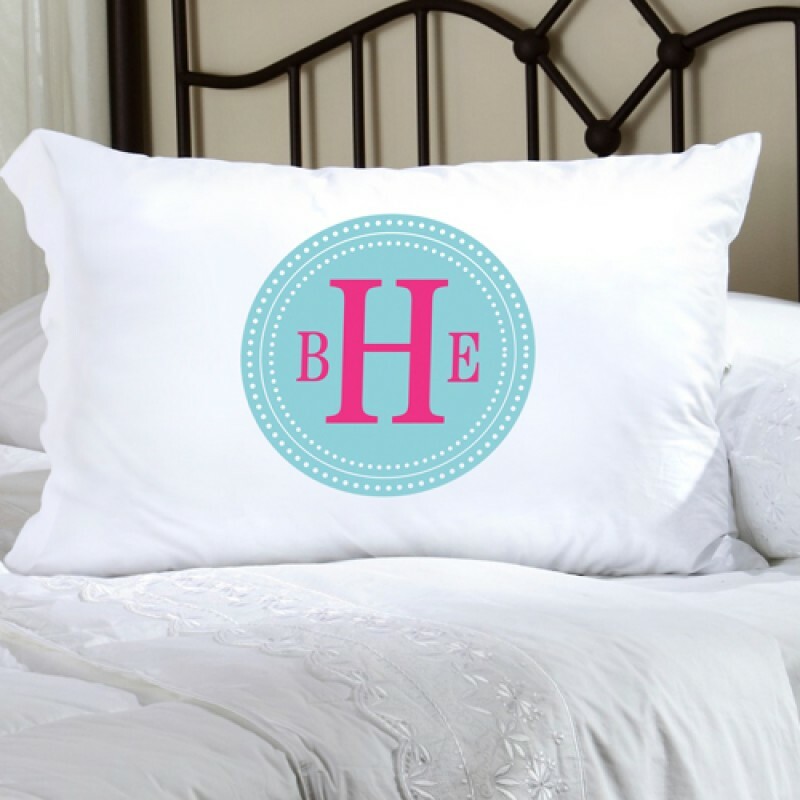 She'll drift off to peaceful slumber with our Personalized Felicity Chic Circles Pillow Case. A new twist on the classic monogram, the Chic Circles designs features some of today's hottest colors to go with any décor, from classic to modern. The pillow case is made of a luxurious 55/45 cotton/poly material and measures 30.5" x 19.5" and fits a standard or queen sized pillow. The pillow case is high quality and machine washable. Select design color and personalize with her three initial monogram (first name initial, last name initial, middle name initial).